Germany is a Christian land, with the South and West predominantly Roman Catholic and the North and East mostly Protestant. That’s why most holidays are based on the Gregorian calendar (Orthodox Christians follow the Julian calendar) and include Advent, Christmas, Lent, Easter, and Pentecost or Whit Sunday. All of these holidays have special foods and rituals associated with them. The four weeks of Advent are a very special time in Germany. The days are short, and people invite each other over for an Adventskaffee (coffee and cake). A lighted Advent wreath sits on the table and the hosts serve a variety of cookies. These cookies are made ahead of time and stored for unexpected guests, reducing the host's work during a busy season. Special cakes, like stollen, which only show up at this time of year appear on the Plätzchenteller (Advent cookie platter). Christmas Eve is when presents are shared and people eat fish, often carp. Christmas Day (there’s actually two of them, 25th and 26th are both federal holidays) is for visiting family and feasting. Fasching, Fastnacht, or Mardi Gras – the party before Lent starts – is celebrated mostly in the South. 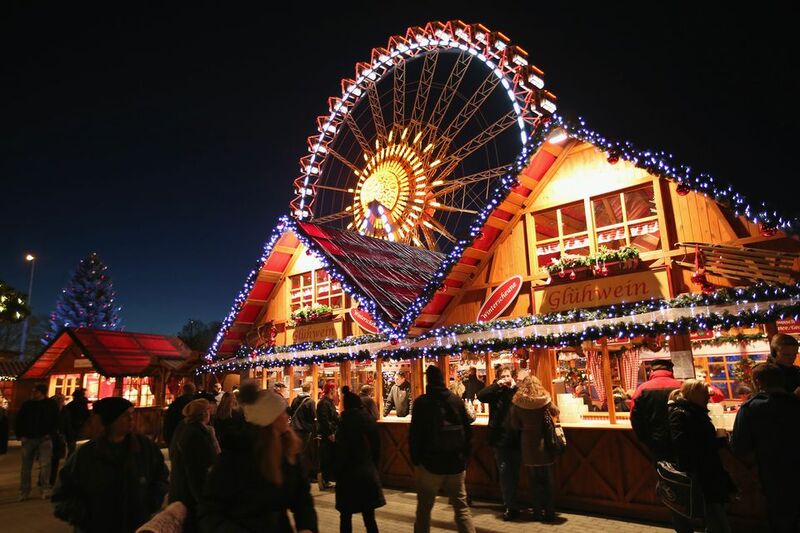 Parades and boat races in the freezing waters and weekly masquerade balls are accompanied by the traditional foods such as soft pretzels, Kütteln (beef tripe soup), and deep-fried doughnuts. Easter is when eggs are hidden and found in the snow more often than not. Spring is here, but it’s hard to tell sometimes. Fresh herbs, peas, and lamb are the flavors of the day, to remind us that the summer will come, eventually. Here are recipes for Easter breads from Germany and Austria. Ecumenical holidays abound as well. There are the Shützenfeste (sharp-shooting contests with accompanying festivals) in the north, Kermis (carnivals) on the Rhine, Wine Festivals all through the South. Fathers’ Day on the Day of the Ascension is a national hike for men. All of these days have their special foods and, of course, special drink.